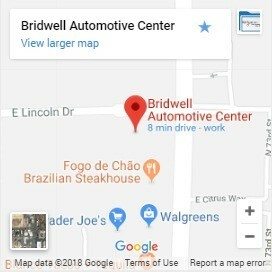 When you’re searching for serpentine belt replacement near me in Scottsdale or another city in the valley, Bridwell Automotive Center has you covered. Our team of ASE certified technicians have the right knowledge, training, experience, and tools to replace the serpentine belt on any make, model, or type of vehicle. If you’ve heard a serpentine belt noise call to schedule an appointment to get it checked out today! Call (480) 948-4781, get a quote using our contact form or stop by our auto repair shop located at 7171 E Lincoln Dr. Scottsdale, Arizona 85253. One of the first and most obvious signs that you might need serpentine belt replacement is an unusual noise. When the belt is slipping it will make a squealing sound. If it is chirping it typically means there’s a misalignment of an accessory drive pully. The serpentine belt is the way that your vehicle’s vital components get the power they need from the engine. It is a long winding, snaking belt that winds it’s way around the engine bay to power your power steering pump, alternator, water pump, and air conditioning. When Do Serpentine Belts Need To Be Replaced? Today’s serpentine belts are made to last and will usually make it to 60,000 or even 100,000 miles. Some vehicle manufacturers install self-tensioning mechanisms which might need servicing. Other systems may require manual adjustment to stop the noise and function properly. How Long Does It take To Replace A Serpentine Belt? For professional automotive technicians with the right tools and training the replacement of a serpentine belt usually takes about 30 min to an hour. This time varies by the make, model, and year of vehicle that you’re driving as some take longer than others. Depending on the make, model, and year of your vehicle the cost of serpentine belt replacement will run somewhere between $60 to $200. High performance or larger trucks will require more robust serpentine belts and will typically be towards the higher end of the cost spectrum. If your vehicle has completely stopped running you will also have to consider the cost of getting your vehicle towed to the shop. If you’ve heard squealing, chirping, or have seen other unusual wear on your serpentine belt our team will inspect it for you. 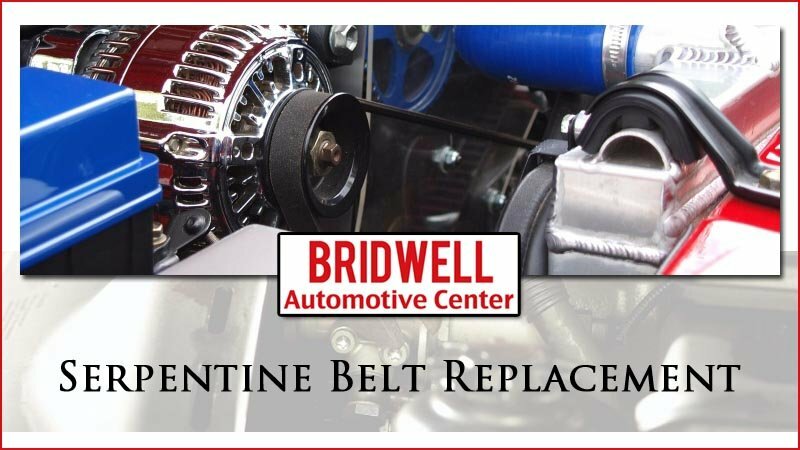 In some cases all you’ll need is some alignment of pulleys and other time you will need to get your serpentine belt replaced. No matter what the problem is we will find it, offer affordable rates for repair, and get you back on the road quickly! Call to schedule your serpentine replacement today at (480) 948-4781.